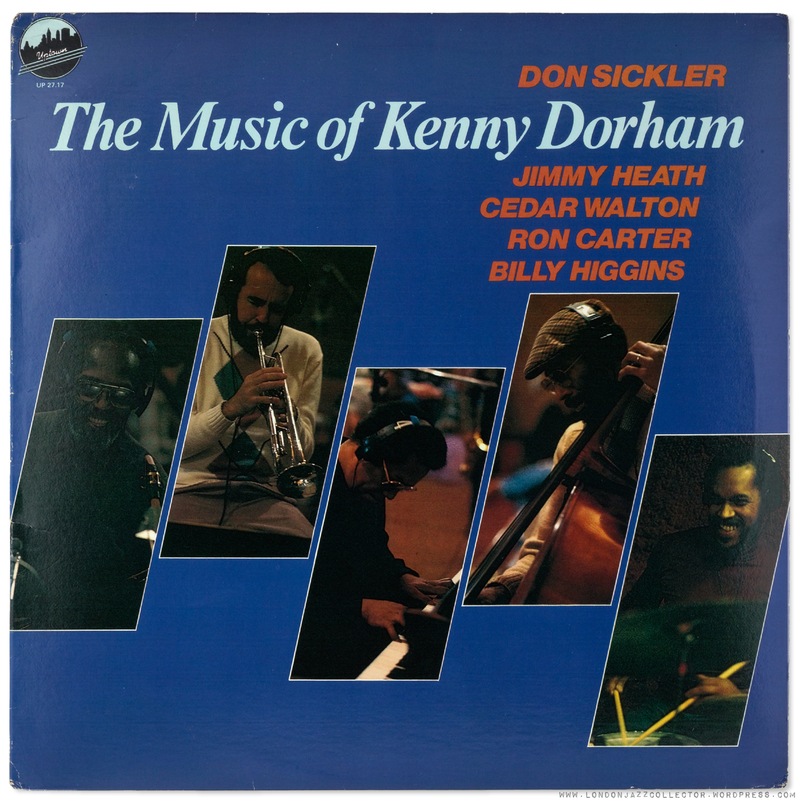 Kenny Dorham (trumpet) Dave Amram (French horn) Cannonball Adderley (alto saxophone) Cecil Payne (baritone saxophone) Cedar Walton (piano) Paul Chambers (bass) Philly Joe Jones or Jimmy Cobb (drums) recorded NYC, January 20 and February 18, 1959, recording engineer Jack Higgins. The US stereo title may well have been released some time after the mono, no release date found. “45/45 system in re-recording stereo”. Re-recording? 45/45? Eh? US Riverside is one of those labels which I often prefer the UK mono release engineered by Decca or later, Philips, to the US original. I wouldn’t put Higgins / Reeves Sound Studios / Mathews in the sound engineering super league. Another Riverside title attributed to Higgins is Johnny Griffin’s Little Giant, which I acquired recently and has so much reverb applied to Griffin as to be all-but unlistenable. Higgins was responsible for many Monk and Bill Evans titles which are “OK” but not stellar and should be super-stellar given the content. US Riverside pressings I have often found superficially clean but noisy pressings (though not to the extent of recycled vinyl, Weinstock’s cardinal sin on some later Prestige and New Jazz). I don’t know which plants pressed US Riverside (aside from Research Craft) but I sense compromise in the final product, something other labels would not countenance. A bit of a mixed bag. Recorded at Englewood Cliffs ,November 12, 1983 by Rudy van Gelder, mastered by RVG. Once again, Van Gelder delivers lively, bright, richly-detailed sonic presentation, nicely balanced stereo, and an ensemble quintet production rather than a saxophone plus rhythm section. The arrangement and artist performance at Englewood Cliffs is excellent, Sickler and Heath produce a “well-tempered” performance, but does it stand up against a cannonball attack? 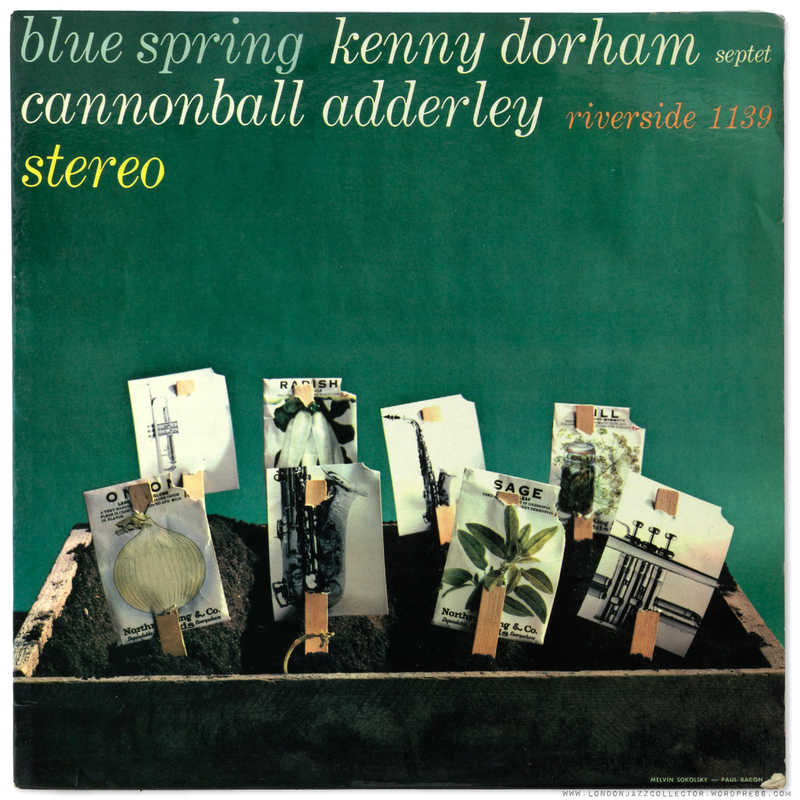 It is hard to dislike the larger than life, swaggering salty alto of Cannonball Adderley on Riverside, driving through the Dorham composition like it belongs to him, which I guess it does. I saw this record again in a store rack the other day for just £8. It doesn’t look like a lion-hearted collectable record, which is what it should be. It looks cheap, with a throw-away jazz museum title, and little artist branding: what happens when all-important jacket design is gifted to someone’s wife or girlfriend, instead of a proper graphic designer/ photographer, the likes of Reid Miles or Don Schlitten. All the love and care and attention that goes into the product inside the sleeve is buried in bland packaging that belies its royal contents and fails to distinguish itself from the other bland reissues surrounding it in the record store rack. On the cover at least, the Riverside wins hands down. On the contents, I’ll let you be the judge. 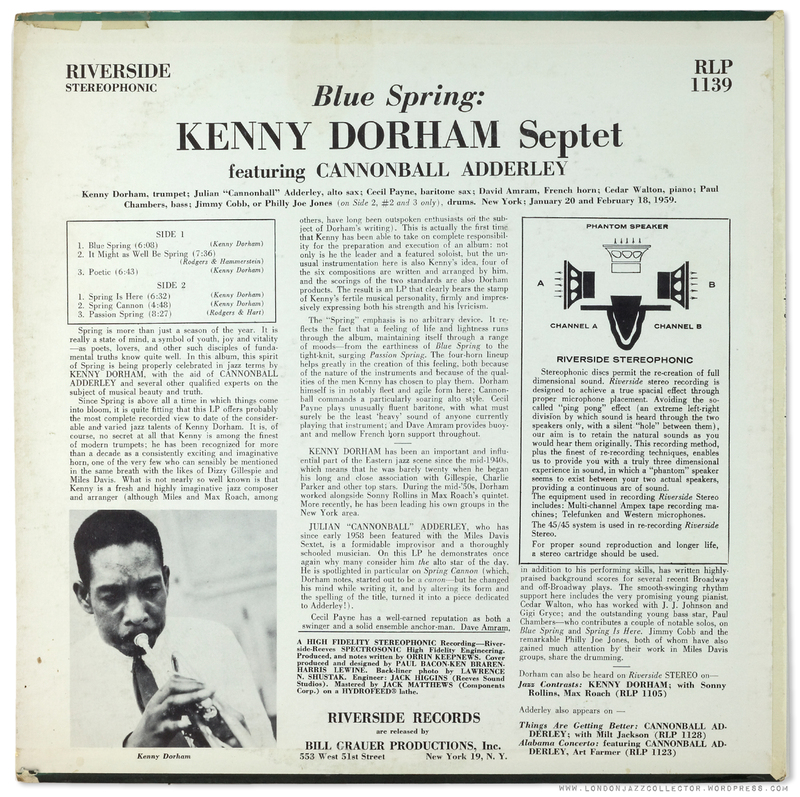 This entry was posted in Kenny Dorham, Riverside, Uptown, Van Gelder and tagged Cannonball Adderley, Don Sickler, Kenny Dorham, Riverside, Uptown Records by LondonJazzCollector. Bookmark the permalink. While discussing the Riverside label it would seem wrong to fail to note that label founder and producer Orrin Keepnews died on the 1st March 2015 aged 91. There is a fine obituary in The Guardian by Richard Williams. Would like to bring to discussion the fact that most mono Riversides after 1960 were fold-downs of the twin-track stereo tape. This was done due to cost cutting, of course. One less tape machine running, one less tape to pay for. Their earlier mono mixes are decidedly different from their stereo counterparts, even using different microphones (as on the Monk’s Music date) — with the mono usually mic’d closer and sounding punchier. Steve Hoffman has brought up the fold-down subject and from my own research it appears to be true. And sometimes even I prefer the mono LP, fold-down or not, because the stereo just isn’t very well balanced. 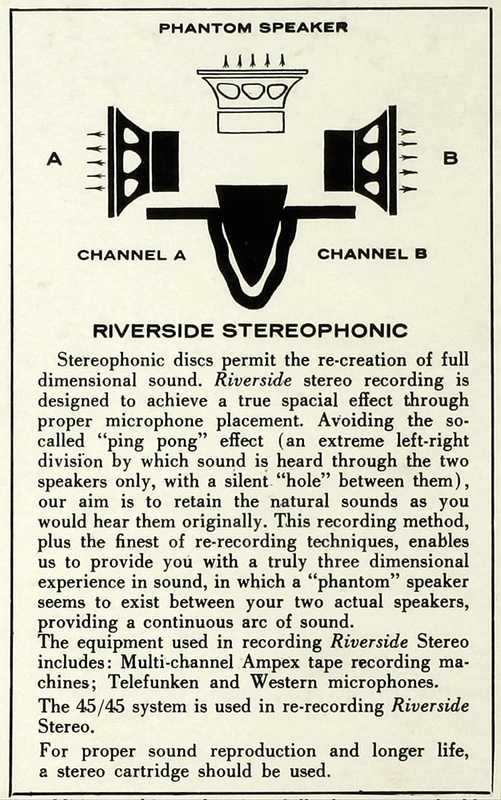 However, I wouldn’t dismiss Riverside stereo as a whole. They made some amazing, life-like, stereo recordings in the early ’60s. Not all of them are great, I agree, but the ones that are great stand up there with the best-recorded jazz of the period. Hi Crispi, would love to hear what you consider a great Riverside recording. My favorite on Riverside is probably the Cannonball/Bill Evans album, not RVG but still a good recording & great album offcourse. did you guys know that early Riversides were mostly recorded by Rudy van Gelder? E.g. the Monk trios (and the Randy Weston trio, I believe (no time to check). So were the “Debuts” of Thad Jones with Charles Mingus. I like the sound of the August 11, 1954 session very much, though some people seem discontented with the reverb he was using then. That record has been on my turntable more often than some of the most revered Blue Notes. Thanks for mentioning the Riversides, Rudolf. Haven’t listened to “Monk Plays Ellington” for quite a while. Listening to the Thad Jones date now. It has a healthy dose of reverb but it still sounds quite pleasing. Yes, Eduard, that was an interesting period in Riverside’s existence. The Randy Weston trio RLP 12-203 was also engineered by RvG. I am as enthusiastic as you about these underrated Thad Jones albums on10″ Debut. Excellent sound.. I have 14 sessions for Riverside in my discography. Are there more? interesting site. I was not aware of this one. Regret I cannot reply to your question. Crispi, not familiar with the Rollins & Monk you mention but the Chet & Evans are definitely some of my favorite Riverside, both indeed sound lovely ! Will just add Benny Golson ‘The Modern Touch’, very nice. i rather like riverside mono, but stereo is yucky. but the mono gives a raw bite that i don’t get on other labels. makes it sounds real to me. There are a few Riv ST’s that I really like, such as Johnny Griffin’s “Big” Soul Band and Mulligan Meets Monk. anytime I hear Cannonball in recordings I never listened to I’m knocked out. I think by 45/45 they mean they pulled the channels in during mastering (from “90/90”, in theory). As for “rerecording”, I suppose they could be talking about the “mix down” to stereo…was Riverside recording to three or more tracks at that time?? Ironically, I don’t hear much of a phantom center on the Riverside version, and indeed Adderley is very present. In comparison, the ’80s Van Gelder version sounds ‘polished’ to me, with a hefty dose of reverb similar to the last comparison that creates a fancy sort of swirling presence with the ride and the horns. The piano on the Van Gelder sounds great. Overall I think I prefer the less polished sound of the original Riverside, to which I’m sure I would enjoy the mono mix even more. When I first started collecting I sought out Riverside LPs as much as Blue Notes and Prestiges, but over time they lost their allure with me. I usually enjoying the performances on Riverside releases, and I can’t really rationalize it but Riverside LPs don’t ‘wow’ me in general, from the quality of the recordings all the way down to the quality of the vinyl, artwork, and packaging. Bill Evans apparently preferred to be recorded by them, and I suppose this makes sense since to me they seem to have gotten a more ‘realistic’ piano sound than RVG. It simply means the the Westrex “45/45” single-groove system, the method that became standard in the late fifties. the mono mix of the Riverside gives a very rich sound. It is a beautiful record. I dig K.D. under all circumstances. What horrifies me is the electric bass sound on the Sickler record, for the rest RvG did a honourable job. Rudolf: No, no, and no again. It’s not an electric bass. I wonder why so many people around here always mistake acoustic bass for electric bass. Maybe because they’ve been listening to Paul Chambers throughout their lives. that may be the reason, but I still don’t like it. It is the re-mixing engineers at work then. The worst in its kind is the Galaxy label, everything re-mixed and re-done, nothing authentic. Nor do I like it. It’s far from Ron Carter’s sound on other recordings, and I would blame RVG himself. I was never thrilled by the way he recorded bass notes.